East Belfast FC left furious by council attempts to leave their club “penniless” and stifle exciting plans for the development of a cross community social hub. East Belfast Football Club have been refused permission for an exciting cross community hub at their east Belfast ground. At a meeting of Belfast City Council’s people and communities committee on Tuesday night the positive proposal was rejected by the SDLP, Alliance party and Green Councillors. The portacabin, designed to facilitate cross community engagement, community based information evenings on sports nutrition and mental health as well as providing free sandwiches and tea to elderly supporters of the club, was delivered to the ground last week by club sponsors the Parr group. East Belfast FC sources told Unionist Voice they had sought to follow the correct processes in relation to obtaining permission for the exciting new cross community hub, but sadly conflicting advice from council officers left the club in limbo. The fantastic project is how on hold until the council can re-consider the proposal, in possession of more factual information, at their September meeting. 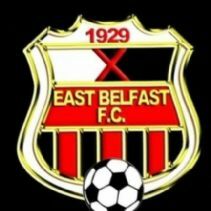 East Belfast FC are also being pursued by the council, who have demanded an extortionate £2,500 from the club for hosting cross community children’s football small sided games on waste land which the club developed at their own cost. 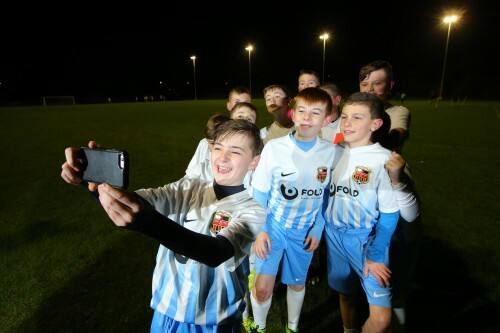 Parents have reacted furiously to the news and the club has been forced to hold back potential investment in the children’s development section due to fears that the council may try and leave the club penniless. It is understood that the council have tried to retrospectively bill the club for use of waste land that the club developed at their own cost into a small sided games area. East Belfast FC have also recently completed a project that was hailed as “fantastic” by local politicians, when a longstanding Ulster Volunteer Force (UVF) mural was re-imaged and replaced with a tribute to football stars from the east of the City. A spokesperson for East Belfast FC refused to be drawn on the specifics of the dispute, telling Unionist Voice that their priority was advancing the cross community development of their club, community and specifically the young players and made clear they did not want to get “bogged down” in disputes that they claim have been “engineered by rogue council officers”. A statement publicly released by the club onto their Facebook raised concerns that Belfast City Council staff may be briefing the mainstream media in an attempt to increase controversy around the issue and further disadvantage the hugely successful and community based club. 30 Responses to "“Rogue” council officers accused of nasty attempt to destroy cross community children’s football"
It’s really a great and useful piece of information. I am satisfied that you just shared this helpful info with us. Please stay us up to date like this. Thank you for sharing. Heya i am for the first time here. I found this board and I find It really useful & it helped me out much. I hope to give something back and aid others such as you aided me. This is the proper blog for anyone who desires to seek out out about this topic. You notice so much its nearly onerous to argue with you (not that I actually would need…HaHa). You definitely put a brand new spin on a subject thats been written about for years. Great stuff, just great! you’re really a good webmaster. The website loading speed is amazing. It seems that you’re doing any unique trick. Moreover, The contents are masterwork. you’ve done a wonderful job on this topic! I used to be recommended this web site by means of my cousin. I’m now not certain whether this put up is written by means of him as no one else recognize such particular approximately my problem. You’re incredible! Thanks! This is the proper weblog for anybody who wants to search out out about this topic. You understand so much its virtually onerous to argue with you (not that I truly would need…HaHa). You positively put a brand new spin on a topic thats been written about for years. Nice stuff, just great! Admiring the dedication you put into your blog and detailed information you provide. It’s good to come across a blog every once in a while that isn’t the same unwanted rehashed information. Wonderful read! I’ve bookmarked your site and I’m including your RSS feeds to my Google account. Thank you for sharing superb informations. Your site is so cool. I’m impressed by the details that you have on this web site. It reveals how nicely you understand this subject. Bookmarked this web page, will come back for extra articles. You, my pal, ROCK! I found simply the information I already searched everywhere and simply could not come across. What a great web-site. I’m also writing to make you know what a awesome encounter my friend’s child undergone browsing your blog. She came to find too many details, including what it’s like to have an amazing teaching character to make men and women clearly understand several complicated things. You actually surpassed our own expectations. I appreciate you for providing these essential, healthy, revealing and also unique tips on your topic to Ethel. whoah this weblog is excellent i like reading your posts. Stay up the great paintings! You recognize, a lot of individuals are searching around for this info, you could help them greatly. Greetings! I’ve been reading your weblog for some time now and finally got the courage to go ahead and give you a shout out from Porter Texas! Just wanted to tell you keep up the great job! I wish to express thanks to this writer for bailing me out of this setting. Because of searching throughout the internet and seeing advice that were not pleasant, I thought my life was over. Living devoid of the solutions to the issues you’ve resolved all through this article is a crucial case, as well as ones that could have badly damaged my entire career if I hadn’t discovered your blog post. Your good skills and kindness in taking care of all the pieces was priceless. I’m not sure what I would’ve done if I had not come across such a subject like this. I can also at this point look ahead to my future. Thanks for your time so much for your impressive and sensible guide. I will not hesitate to propose the website to anybody who needs and wants tips on this area. I am commenting to make you know of the helpful experience my wife’s girl went through reading the blog. She noticed some pieces, most notably how it is like to possess a marvelous teaching mindset to have many others smoothly fully understand a number of grueling subject areas. You really surpassed people’s expectations. Thanks for giving those effective, healthy, informative and as well as fun guidance on your topic to Janet. I’m still learning from you, but I’m improving myself. I absolutely enjoy reading all that is written on your website.Keep the information coming. I liked it! With every little thing that seems to be developing throughout this specific subject material, your points of view are quite radical. On the other hand, I appologize, but I do not give credence to your whole theory, all be it refreshing none the less. It appears to me that your opinions are generally not totally rationalized and in simple fact you are generally yourself not wholly certain of your point. In any event I did enjoy reading it. Greetings from Florida! I’m bored to tears at work so I decided to browse your site on my iphone during lunch break. I really like the info you provide here and can’t wait to take a look when I get home. I’m surprised at how fast your blog loaded on my phone .. I’m not even using WIFI, just 3G .. Anyways, fantastic site!